Kashmiri Kid with a rather big 'nar'kon' kalam and Mashak. This was the cover short for 'The Oriental Watchman and Herald of Health: A Magazine for Health Home and Happiness' September 1952. 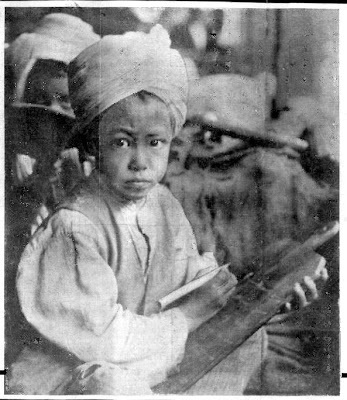 Caption: "A serious little student in Kashmir with wooden slate and huge pencil."